Whether you are planning on relocating to South Florida or looking to buy a new home, TheBestFloridaProperty.com can help fulfill your real estate needs. With over 25 years of experience, we are committed to providing our clients with the highest level of personalized service in the industry. We will act as your guide through the complicated and continuously changing process of buying and selling real estate. Greater Fort Lauderdale, Key Biscayne and Brickell Avenue luxury waterfront condominiums and homes. Our genuine passion for the real estate profession grantees that every one of clients is satisfied with the home they purchase. 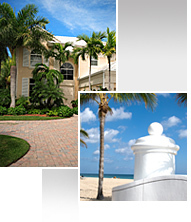 Whether you are planning on relocating to South Florida or looking to buy a new home, M.E.G. Realty can help fulfill your real estate needs. With over 25 years of experience, we are committed to providing our clients with the highest level of personalized service in the industry. We will act as your guide through the complicated and continuously changing process of buying and selling real estate. As a licensed real estate owner-broker, M.E.G. Realty specializes in Fort Lauderdale, Key Biscayne and Brickell Avenue luxury waterfront condominiums and homes. Our genuine passion for the real estate profession grantees that every one of clients is satisfied with the home they purchase.